Here are some useful fact sheets to help you get started with the assessment and diagnosis process and in seeking early intervention. The fact sheets contain a range of questions that your health practitioner may ask you in order to build a case history for your child. The following fact sheet provides a useful summary of the common behavioural characteristics of FASD across the lifespan. This fact sheet may be useful to share with school communities and other service providers. A useful tool to educate community members and enlist the support of bystanders during a meltdown. These wallet-sized cards can be carried with you and given to bystanders when your child experiences a sensory overload in public. Parents and caregivers of people living with FASD know which strategies are most effective to improve or de-escalate a situation, however well-meaning community members sometimes jump to the conclusion that simple solutions like firm parenting and the use of consequences might solve behaviour problems. These Advice Cards enable parents and care-givers to enlist the support of observers by quietly explaining what is going on and asking for their cooperation, including not staring or becoming involved unless assistance is requested. These cards are posted free-of-charge to parents and carers. To order cards please contact us here. We would like to acknowledge Parenting Complex Children (Wisconsin, USA) for the text and opportunity to produce these cards. A tool to inform police officers and others about a cognitive impairment. Children, young people & adults with FASD are over-represented in all areas of the justice system. In some cases, people with FASD may not have the skills and knowledge to defend their legal rights. A recent study found that 36 percent of young people in detention have FASD, and 89 percent have a neurodevelopmental impairment. There are many recorded cases of people with FASD “admitting” to offences which they did not commit. 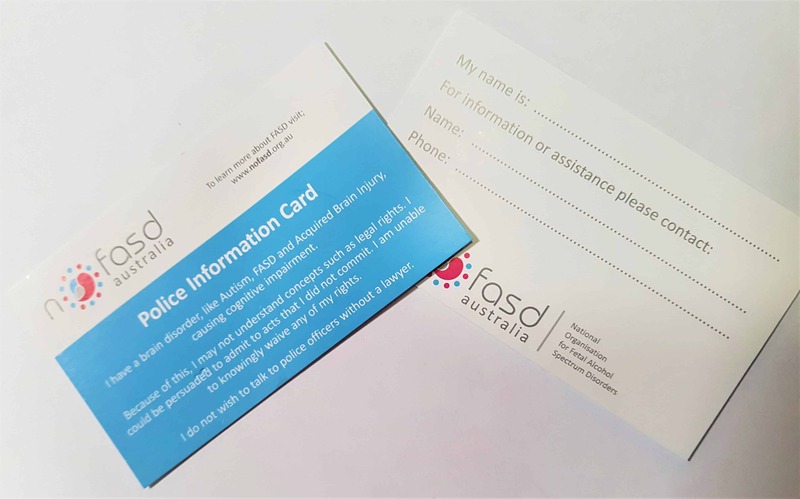 These wallet-sized information cards can be carried by people with FASD and other brain disorders. If needed, they can be handed to police officers and other professionals. The cards explain that the person has a cognitive impairment and cannot knowingly waive legal rights, and there is space for carers to write their contact details on the cards. It is important that police officers, emergency responders, and other professionals are aware of the characteristics and behaviours of people with FASD so they can work fairly and effectively with them. For more information and resources on FASD and the justice system click here. 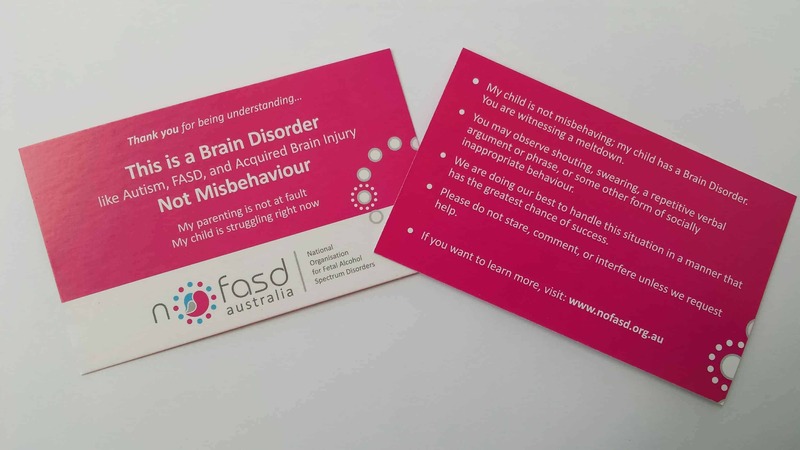 We would like to acknowledge FASD Waterloo Region (Canada) for the idea and text to produce these cards. NOFAS-UK has created an innovative 16-page book to promote wellbeing in children and young people with FASD. It provides information in a fun and visual format, emphasising the strengths of those with FASD and highlighting strategies that can help. NOFAS-UK had much success with this book in their Brain Base: FASD Wellbeing Summer Fun Days program. They are now generously offering this book to all children and young people with FASD. Download a PDF copy of the book here. If you would like to order a hard copy, please email info@nofas-uk.org. The booklet is free, but they do appreciate help in covering printing, shipping and handling costs if you are able. They suggest £2 in the UK and £5 for international requests. 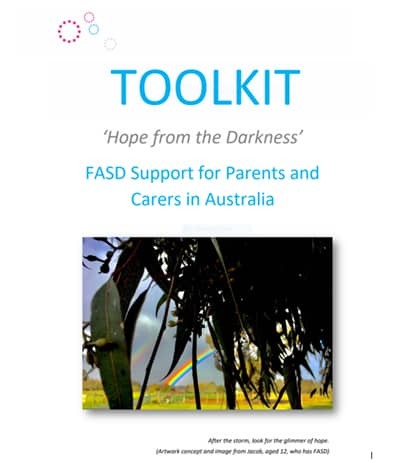 NOFASD thanks NOFAS-UK for making this book available to the Australian population. 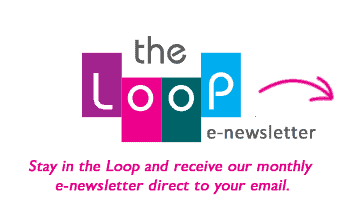 The SECCA App – supports the development of knowledge and skills in navigating sexuality & relationships across the lifespan. NOFASD Australia has partnered with Odin Books in Canada to provide a bestsellers list of FASD books. To view the FASD bestsellers list click here. Guided Growth: Educational Interventions for Children with Fetal Alcohol Spectrum Disorders. This serial e-book (available for purchase) incorporates the latest research-based information into a guide designed for teachers, parents, physicians, psychologists and others working with FASD. FASD Hub Australia An alliance of organisations working to provide a ‘one stop shop’ for information, tools and resources that are current and evidenced based. FASD C.A.R.E WA A team of health care professionals who aim to provide high standards of clinical care for children and youth living with FASD. Telethon Kids Institute (WA) – Alcohol Pregnancy & FASD One of the largest, and most successful independent not-for-profit medical research institutes in Australia, comprising a dedicated and diverse team of more than 500 staff and students. The CICADA Centre NSW A FASD specialist centre providing diagnosis and clinical care for children and young people affected by alcohol and drug use and support leading research and education in key areas of need in Fetal Alcohol Spectrum Disorder (FASD), parental drug and alcohol use and adolescent drug and alcohol use.